Sunday April 22 is Earth Day but local celebrations start on Saturday the 21. Practice “green” living that day and throughout the year…and onward. Here are some events to get you started on the local sustainability track. • Park-fest with Ecology Ottawa: at allsaints, 10 Blackburn Ave., Saturday, April 21 from 2 to 6 p.m. Featuring a series of inspiring speakers who are breaking trails, connecting individuals and activating Ottawa parks. Local coffee and nibbles will be provided by Happy Goat and the Green Rebel. • The Glebe’s Old Home Earth Day Event, (www.ohede.ca/) 10 a.m. to 4 p.m. at the Glebe Community Centre, 175 Third Ave., for those seeking to reduce their carbon footprint and save money on energy. Organized by a number of local environmental organizations, this event will feature FREE DIY workshops for all ages, panel discussions, living lightly tips and an exhibition fair with a wide variety of service providers and industry experts. Followed at 8 p.m. by Ecology Ottawa’s Earth Day party at 25One Community, 251 Bank St., tickets $15. 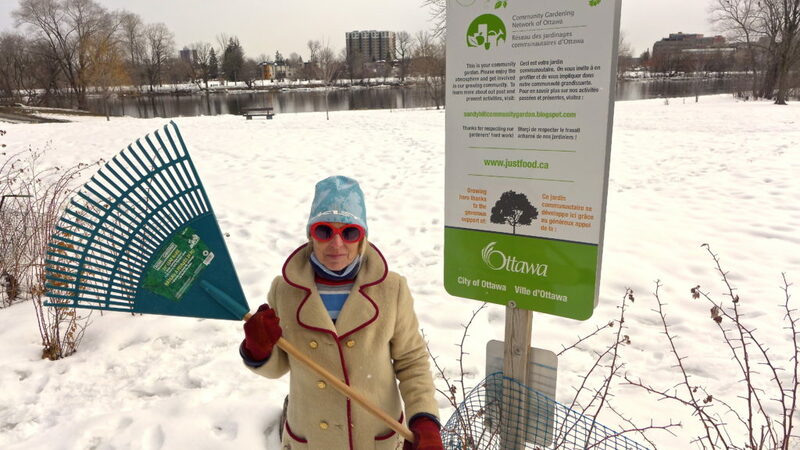 April 28, Capital Clean-up in Sandy Hill starting at Strathcona Park. April 27 and 28—University “Move Out Weekend.” The Sustainability Office at uOttawa runs the Free Store—where anyone can drop off household items that they no longer need, and those who need them pick them up for free! 647 King Edward Ave., sustainable.uottawa.ca/free-store. Interested in helping the Office with its “Dump and Run” initiative? Every semester volunteers collect the clothing, kitchenware, laundry detergent, unopened food, books and numerous other things left behind by students when they leave residences. These items are cleaned and distributed to charities and the Free Store. May 9—Green Screen at the ByTowne cinema. Anote’s Ark, about the forced migration/relocation of the citizens of Kiribati, an island nation that will disappear under rising ocean levels. Supported by the Sandy Hill Community Health Centre. More about the film at www.eyesteelfilm.com/anotesark. Popcorn bags go green. The ByTowne—great movies AND helping us be more green! Their popcorn bags make great liners for compost bins, and they are now offering the lightly used and FREE bags to movie-goers. Help yourself, leave your empty bag on the bus tray at the back of the cinema for others, or take your leftover popcorn home, and rinse the bag for kitchen waste later. It’s the small gestures…thanks ByTowne cinema! June—the Main Farmers Market, with its fab produce and friendly local farmers, will open in June. Don’t forget you can now get all the way there along the Western Rideau River bike path; the path now connects the south end of Strathcona Park with Old Ottawa East under the LRT, just beyond the uOttawa football field. All year—energy saving rebates and programs. Check out GreenON.ca for info on the very generous rebates the province is giving out for replacement windows and insulation. Jump on this one!